Justin has managed my rental property in Huntington Beach for the last couple of years. He's been easy to get in touch with when I need something, and responds quickly if I leave him a message or send an email. When the time comes to purchase another income property, Justin will definitely be one of the first people I talk to! Justin has been most responsive to all my questions and needs. I have found I can rely on his advice completely. He has been able to handle every problem and a few emergencies with what seems to be ease! He is very personable and puts you at ease right away. I can only assume he can do the same with my tenants. He is a pleasure to work with! Justin is the best real estate agent with whom we have ever worked. He is knowledgeable, professional, calm and on top of everything! We have had experience with him selling our home and now with the purchase of a new home. He was great on both transactions. 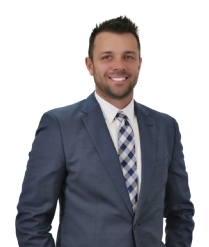 We have highly recommended Justin to family, friends and even strangers who have asked if we know a good real estate agent. Justin is not just good, he is great!! We very much liked working with Justin. He presented in a professional yet friendly manner that we appreciated. He was very responsive to our questions and requests. I have nothing but positive things to say about Orange Coast Property Management, and I feel extremely grateful to have Justin as my property manager. There were some unique and unfortunate events that took place at my apartment upon move-in, which were out of Justin's control. He immediately drove over and took the time to help resolve every issue and help me feel comfortable. He turned the whole situation around. Since move-in, he continues to surprise my roommate and me by having quick responses to any issue. He just gets things done. His professionalism, attentiveness, and reliability, are just a few of the many things that make his business highly recommendable. Any landlord or tenant is blessed to have him.